WUR tends to focus on research, counting metrics like the number of citations and publications by a university’s scholars and the amount of research funding attained in a given year. The list also takes reputation into account by surveying some 20,000 leading scholars to identify top schools, said Phil Baty, rankings editor at Times Higher Education. To a lesser extent, WUR also emphasizes global scholarship. 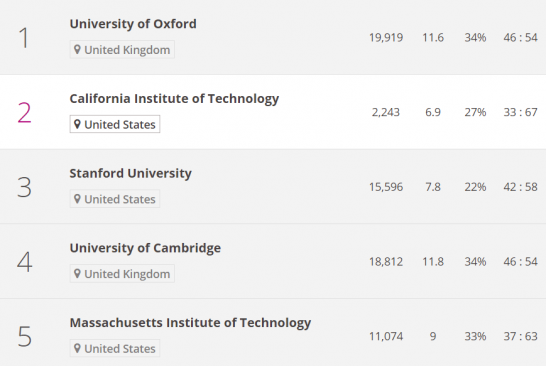 Unlike popular American rankings like those produced by U.S. News & World Report, the world list has a global reach and includes only universities. WUR excludes popular metrics used by U.S. ranking systems like acceptance rate, test scores and postgraduation salary, Mr. Baty said. Copyright© 若き経済学者 in 南魚沼 , 2016 All Rights Reserved.